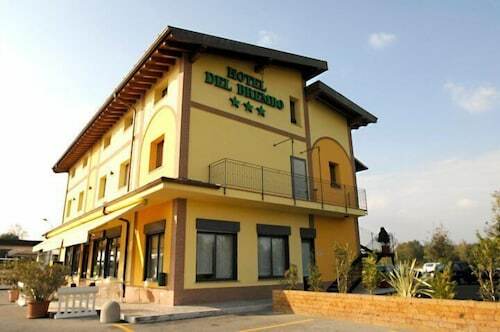 Situated near the airport, this hotel is 2.9 mi (4.6 km) from Leolandia and within 9 mi (15 km) of Oriocenter and Parco Faunistico Le Cornelle. University of Bergamo and Stadio Atleti Azzurri d'Italia are also within 12 mi (20 km). This family-friendly Osio Sotto guesthouse is within 3 mi (5 km) of San Marco Polyclinic and Leolandia. Adda Nord Park and Trezzo Tennis Club are also within 6 mi (10 km). 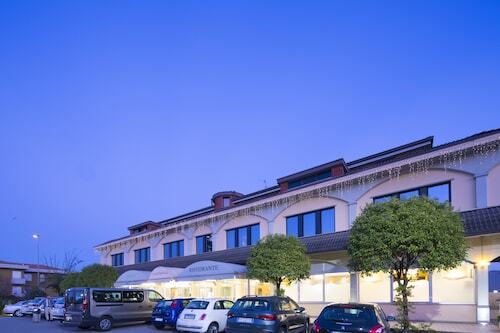 Situated in Osio Sotto, this hotel is 1.4 mi (2.2 km) from San Marco Polyclinic and 1.5 mi (2.5 km) from Leolandia. Adda Nord Park and Trezzo Tennis Club are also within 3 mi (5 km). 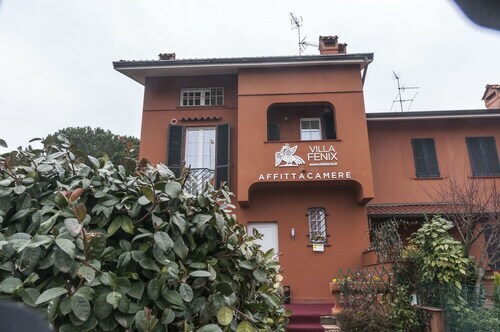 Situated in Osio Sotto, this bed & breakfast is 1.2 mi (1.9 km) from San Marco Polyclinic and 2.9 mi (4.6 km) from Leolandia. Trezzo Tennis Club and Adda Nord Park are also within 6 mi (10 km). How Much is a Hotel Room in Osio Sotto? Hotels in Osio Sotto start at $73 per night. Prices and availability subject to change. Additional terms may apply. 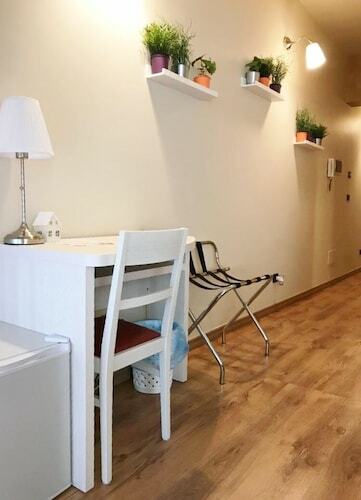 If you're not sure how to start planning your Bergamo trip, relax, because you will find an array of quality accommodation options in Osio Sotto. Travelocity's guide is where you can compare 116 rooms within a 6-mile (10-kilometer) distance of Osio Sotto's town center. It doesn't matter that Osio Sotto can't lay claim to having a massive list of Travelocity-listed hotels and apartments close to the downtown area, Hotel Ristorante Continental is close enough to satisfy the modern traveler. The Relais San Lorenzo is situated 7 miles (12 kilometers) from the town center of Osio Sotto. 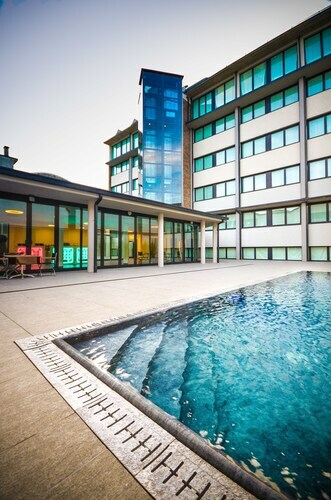 Also, the Petronilla - Hotel in Bergamo is situated 7 miles (11 kilometers) away. Some other hotel and apartment options worth looking into include the Hotel Piazza Vecchia as well as the 1711 Ti Sana Detox Retreat & Spa. Researching so you can venture further afield? Lombardy has many beautiful attractions. Travel through Lombardy's ruins and castles. Anyone with a love for the outdoors could also put aside some time to check out the region's rural landscapes. In this area of Italy adventurous visitors might also partake in snowboarding and skiing. 6 miles (9 kilometers) away from Osio Sotto, you can reach Treviglio, which is where you can visit Basilica of St. Martin and Piazza Manara. 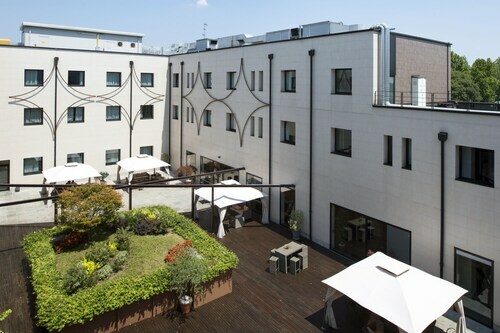 Some Treviglio hotels and apartments include the San Martino Treviglio and Antico Benessere. Or, you could consider staying in Trescore Balneario, 14 miles (23 kilometers) to the northeast of Osio Sotto, where you can choose from the Albergo Ristorante della Torre and Albergo Fornaci. If you come to Trescore Balneario, a couple of sights worth adding to your itinerary are the Suardi Chapel and Torre Suardi. Give yourself a fix of local sport with a journey to San Siro Stadium, which you will find 25 miles (39 kilometers) to the southwest of Osio Sotto. Those sports fans that would like to sleep near to the action can look at the Hotel Magna Pars Suites or the Hotel Roma. Orio Al Serio Airport is a closeby airport, and can be found 7 miles (11 kilometers) outside Osio Sotto's central precinct. Conveniently located Travelocity-listed hotels include Liberty B&B and Vip Bergamo Apartment. This property is conveniently located, not too far from Milan center and about 1/2 a block to the metro. Breakfast is extra but good, rooms are very clean and adequate size, best part is that they give you a cell phone in the room to take with you around town, included in the price. You can use it as a GPS to get around and make free local and international calls. We got used to the metro after a day, very easy to get around, you really don’t need a car in Milan center. Buy an all day urban metro ticket for about €4 and that will get you access all day. Very friendly staff and good experience.. Thanks to all !! The hotel is very nice. The room is very clean. The bed is very comfortable. The staff is very friendly.